Learn basic concepts like the OSI seven layer model, common device types, and the five functions of network monitoring systems. Understanding of basic networking begins with the Open Systems Interconnect model. The OSI model standardizes the key functions of a network using networking protocols. This allows different devices types from different vendors to communicate with each other over a network. In the OSI model, network communications are grouped into seven logical layers. Two devices communicate using OSI standardized protocols at each layer. Layer 7: Application Interacts with software applications that implement a communicating component. Layer 6: Presentation Converts incoming and outgoing data from one presentation format to another (Data encryption, text compression). Layer 5: Session Controls the connections between computers. Establishes, manages and terminates the connection. Layer 4: Transport Ensures data transfer from a source to a destination host across one or more networks. Layer 3: Network Routes data packets between two nodes on a network using an IP address. Layer 2: Data Link Provides a reliable connection between two connected nodes by detecting errors at the physical layer. Layer 1: Physical Transmits a bit stream over physical media such as coax or fiber cable. The Datalink (2), Network (3), and Application (7) layers are the most common used for monitoring. Network monitoring systems use these layers to discover the devices on the network and how they are connected, to generate network topology maps, and to monitor the network. Firewalls protect networks. A firewall controls incoming and outgoing traffic based on rules. This creates a secure barrier between a trusted private network and an untrusted network, like the Internet. Networks deliver applications and information to users. Applications and information live on servers. A server is a running instance, or copy of an application. Servers take requests from users and respond accordingly. For example, when you access a website, a web-server “serves” up webpages to your local device. Other examples of servers are email servers, and database servers. Most private networks are connected to the internet. For example, the internet connects remote users to central offices. It connects customers to websites. Private networks are connected to the internet using routers. Information is sent over the internet in the form of data packets. Each data packet includes a destination IP address which routers use to send information from one location to another. When a router receives a data packet from the internet, it forwards it to the private network. In most networks, data packets must first pass through a firewall. It’s purpose is to keep bad traffic out and keep the private network secure. A firewall does this by filtering traffic between the internet and private network. When an incoming data packet is flagged by firewall rules, it is blocked from the private network. Firewalls also control user access between the internet and the private network. For instance, a firewall can be configured to prevent users on the private network from using specific protocols such as peer to peer. This is one way that Firewalls secure private networks from unauthorized access, malware and other security threats. Data packets passed through the firewall are received by a switch on the private network. Switches connect laptops, servers, printers and other devices to the private network. These devices are connected to the switch using a Network Interface Card, or NIC for short. Each NIC has a unique Media Access Control, or MAC address. Switches transmit data between devices using these MAC addresses. So why is it important to monitor networks? The network is the life line of the IT infrastructure. When networks fail, the flow of information required by applications and business operations stop. Networks are dynamic environments. Network Admins are continually asked to add new users, technologies and applications to their networks. These changes can impact their ability to deliver consistent, predictable network performance. When network problems arise, Network Admins are pressured to identify the root cause before it impacts users, applications and the business. This is more problematic with intermittent performance problems which are hard to replicate and diagnose. Many IT organizations are subject to Service Level Agreements, or SLAs. So what are SLAs and how do they impact IT? An SLA is a contract between IT and Line of Business Owners. Meeting SLA commitments are often included in IT compensation plans. SLAs are a performance guarantee. They are measured and reported on. Why are SLAs important? Because poor performance and down time is costly. For an eCommerce website like LL Ben, one hour of downtime can cost millions in lost revenues. SLA requirements can be very strict. For example, A four nines SLA requires 99.99% uptime. This allows for less than one hour of downtime per year. The more demanding the SLA, the more costly it is to implement and maintain. For example, Delivering four or five nines requires network admins to configure their network switches in redundant pairs, AND have a third switch readily available to swap in case of failure. We’ve talked about the basics of networking, now let’s talk about the basics of Network Monitoring Systems, or NMSs. NMSs differ in the capabilities they delivery for each of these functions. Network monitoring begins with the discovery process. Simply put, if you don’t know what’s on the network and how its all connected, you can’t monitor it. NMSs discover the devices on the network – The routers, switches, firewalls, servers, printers and more. NMSs include a library of monitoring templates, which defines how to monitor a device. In WhatsUp Gold, we call these templates Device Roles. Device roles are type and vendor specific. For example, what you monitor on a Cisco Router will differ from what you monitor on a Dell Server. 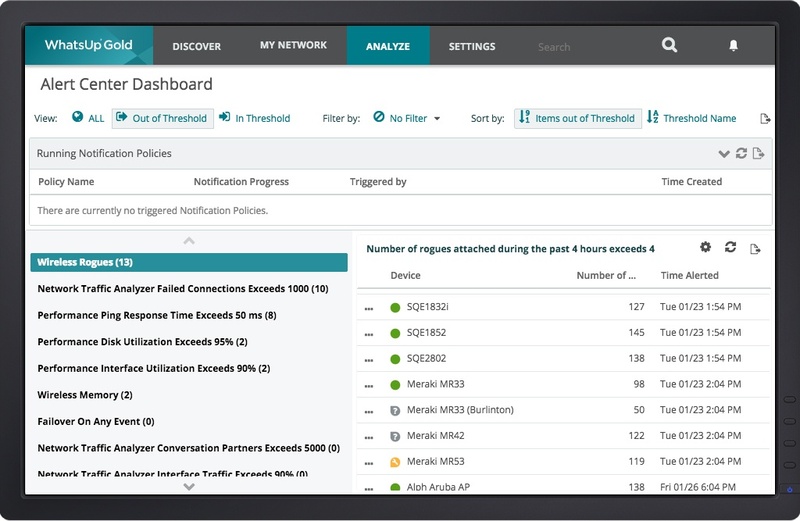 When a network monitoring system competes the discovery process, it automatically assigns an appropriate device role to each discovered device. NMSs differ in their discovery capabilities. All NMSs discover devices on the network. However, not all will discover how devices are connected to the network. For instance, an NMS may have identified a server on the network. But it will not know what switch it is connected to. An NMS with Layer 2/3 discovery will discover the port-to-port connectivity between devices on the network. For effective network monitoring – it’s not enough to know what’s on a network, you need to know how its all connected. Why? Because a performance problem on one device can impact the performance of another. For example, when a switch fails, all devices connected to that switch can’t communicate over the network. This is a big problem if this is the switch connecting the servers supporting an organization CRM system. A network admins eyes are their most valuable diagnostic tool. Their ability to visualize their networks can saves hours, and even days troubleshooting network problems. Unfortunately, network wiring closets get complex and messy. This limits the network admin ability to visualize the network and impedes problem resolution. Network Monitoring Systems generate network maps. Network maps are a powerful first response tool that enables network admins visualize their networks. They provide a clean and orderly representation of the wiring closet. Network maps display devices and up-to-date status. Many NMSs require a significant amount of manual processing to create a network map. Some merely provide a drawing tool and rely on the Network Admin’s knowledge to map out the network. As we stated, Network Monitoring Systems provide turn-key device roles that define what to monitor. Network admins can modify device roles or create new ones from scratch. NMSs expose network admins to a large selection of monitors. As a starting point, network admins want to monitor the “big 5” for any device on the network. This includes Ping availability and latency, and CPU, memory, disk and interface utilization. Network Monitoring Systems notify Network Admins when something goes wrong. They deliver alerts via email, text and logging. Threshold based alerting enables network admins to respond to problems before they impact users, applications or the business. For example, the NMS is configured to issue an alert when the CPU utilization on a router exceeds 80%. This allows the network admin to proactively investigate and respond before the router fails altogether. Performance metrics like CPU, memory and interface utilization fluctuate during the day. They may exceed thresholds for a few seconds or minutes during periods of peak usage. Network Admins don’t want to be bothered with these minor blips. To avoid this, NMS alerts are configured with a time elements. For instance, if CPU utilization exceeds 80% for more than 10 minutes, then issue an alert. Network admins are engaged in a continuous life cycle of designing, analyzing and redesigning the network. And to provide proof that SLA commitments are being met. NMSs deliver monitoring information in webpages called dashboards. Dashboards are made up of turn-key views. For example, a top 10 CPU utilization view or a Top 10 Memory utilization view. How Does a Network Monitoring Tool Monitor the Network? Some NMSs support scripting languages like Powershell – to create custom monitors for Windows Servers, and SQL queries – to create custom monitors for databases. The two most widely used monitoring protocols are SNMP and WMI. They provide Network Admins with thousands of monitors to assess the health of their networks and the devices on them. SNMP is standard protocol that collects data from almost any network attached device, including: Routers, Switches, Wireless LAN Controllers, wireless Access Points, Servers, Printers and more. SNMP works by querying “Objects”. An object is something that an NMS collects information about. For instance, CPU utilization is an SNMP object. Querying on the CPU utilization object would return a value that an NMS uses for alerting and reporting. The Objects queried by SNMP are maintained in a Management Information Base, or MIB. A MIB defines all the information that is exposed by the managed device. For example, the MIB for a Cisco router will contain all objects, defined by Cisco, that can be used to monitor that router such as CPU utilization, memory utilization and interface status. The objects in a MIB are catalogued using an standardized numerating system. Each object has its own, unique Object Identifier, or OID. WMI is a protocol use for monitoring Microsoft windows based servers and applications. WMI is specific to Windows and does not monitor network devices or non-Microsoft servers. WMI has a large library with thousands of performance counters. You can user WMI to monitor almost anything on a Windows server that you can monitor with SNMP. A negative of WMI, is it is more resource intensive is for NMSs , consuming more CPU and Memory to process than SNMP. 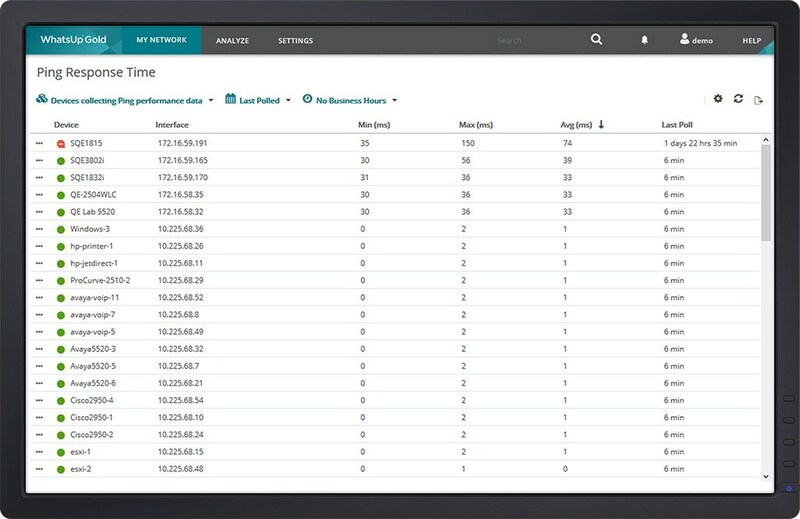 Want to learn more about network monitoring?